Anyone knows how to find hotel accommodation in Spain just by using one of the many comparison websites such as Hotels.com or Booking.com. However when you need something very specific, we have some tips on where to find it. Want to Travel with Your Dog? Leaving your dog at kennels whilst you have a holiday can be expensive and for some people it can be quite traumatic too. 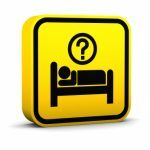 Check out SrPerro.com, a website that’s growing and collecting information about hotels that allow dogs. Tip: Make sure you check the specific terms for each hotel, as some will only accept dogs under 5 or 10 kg. Spain is traditionally a family destination, however niche markets such as hotels only for adults are a growing area. So whether you don’t like children or just want to take a break away from your own brood, there are hotels in Spain that will only let over 18’s stay. Try Mur Hotels website (Home page link) directly for hotels in the Canary Islands or their more general website AdultsOnlyHolidays.com (currently goes through Booking.com) for over 280 hotels in different countries. For those last minute requirements take a look at LateRooms.com or if you’re already out and about, use an app: Hotel Tonight or Booking Now (belongs to Booking.com). Both apps are easy to use, so you’re never more than a few taps away from getting a room booked. Theoretically hotels should not have architectural barriers for people with special needs (such as wheelchair users), however sometimes people are disappointed when they arrive at a hotel to find that not all areas are accessible. If you visit NativeHotels.eu you’ll be able to find hotels in Spain (and a few in other countries) with details about the amenities available. Although there are plenty of beaches that are indicated for naturists in Spain, finding a hotel is a bit more difficult as there still aren’t many. For general accommodation info you could try the list at nudism-naturismo.com. We recently posted an article on hostels and explained why they’re a viable alternative to hotels. Rather than special requirements, hostels offer just a basic package that should cover most travellers’ needs. Don’t forget to check comments about each location on websites such as Trip Advisor. As an alternative to hotels and hostels, websites such as Airbnb are gaining popularity. Why not also take a look at Spanish startup Knok.com. On both sites you’ll be able to find everything from a palace to a small apartment. We were recently introduced to MyBalcony.com (thanks to RentalTonic for the info) that offers balconies for rent in cities such as Seville (for Easter), Pamplona (for the running of the bulls) and Valencia (Las Fallas). They’re definitely not cheap, so if you really want to see a special event consider getting an out-of-town hotel (eg with NH Express or similar lowcost chain) and renting the balcony for only one day. No, this is not for what you think!! As hotels have been hit hard by the recession, in order to increase room occupancy, some hotels offer the chance to reserve a number of hours only rather than the full daily rate. Hourly rates are useful for travellers, giving them the chance to rest and shower. At ByHours.com you can choose from packs of 3, 6, 12 hours (as well as days) and you can search for hotels near airports, stations or hospitals.